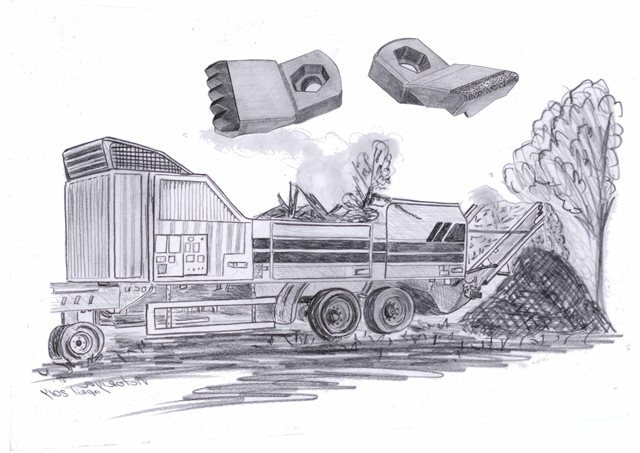 Siebert is a system, designed for the fast turning woodshredders from Morbark, designed by mr Siebert. These systems are not very common anymore, but we from CarbBite want to keep the last few shredders moving! All the hammers that we still have in our assortment that would fit on this system, have a perfect quality for their price, because of the wear proof layers or carbide tips we apply on these parts, to protect the hammers against wearing to much. The right kind of wearproof layer depends on the application of the machine and the material it is running. We would be pleased to give you advice on that matter.